It finally happened. My toddler not eating vegetables, that is. My amazing little eater turned into a no vegetables kind of boy. 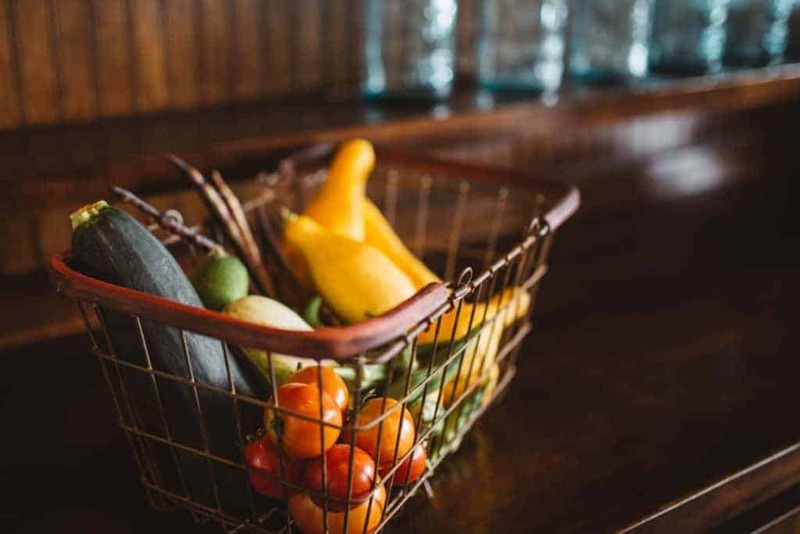 He certainly didn’t hate vegetables, but when other choices were on his plate – he simply chose everything else and left the veggies for the dog. So how do you satisfy that genuine hunger without ruining supper? I promise I wasn’t giving my toddler sweets before supper – we’d give him raisins or crackers to help tide him over before the real meal. Except instead of helping the problem we made it worse. 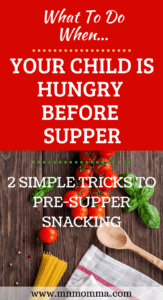 When it was supper time, my toddler had already curbed his hunger and only had room for one thing in his tummy. His very favorite food of all time – FRUIT. Now, don’t get me wrong. There’s a lot worse things than your baby loving fruit. But when he’s suddenly not eating his main course or anything BUT fruit – it gets a little frustrating. So here’s the trick that will change your life. I guarantee, we’re not the first parents to do this. But I pretty much think it’s genius – and works like MAGIC. 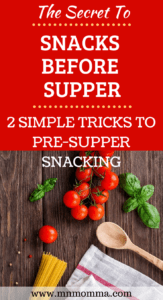 Offer vegetables as your pre-supper snack. Treat those veggies like the delicious appetizer they deserve to be! For our little man, who’s 13 months old, we offer cooked or steamed veggies as they are so easy and safe for him to munch on. If your kids are older, an array of cold veggies can be an easy treat to grab and go. So here’s what we do. Before prepping any supper, we make sure we have the vegetables ready. Then, like clockwork, our little man will come toddling into the kitchen trying to open every cabinet door and look for a treat. This is where the magic happens – offer a vegetable instead. (We always ask for the “please” sign before handing it over!). 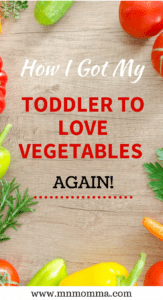 This completely satisfies our toddler and he’ll continue to walk around the kitchen and snack on veggies until supper time. 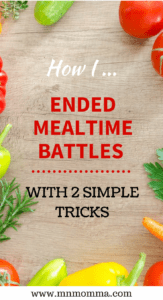 While snacking on vegetables is definitely glorious enough, the trick gets even better! Since implementing the veggie snacks, our little man is a way better eater overall. When he sits down for supper he’s ready to eat his main course and more vegetables. When he appears to be slowing down, we offer fruit. 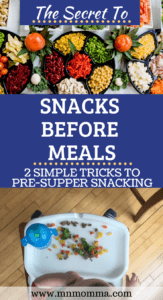 If you have a baby or toddler not eating because they can only focus on one food, or food group, this first trick is just for you. If your little one loves fruit as much as ours, it’s time to hide your fruit. And I don’t just mean in a dish that your little one can’t see into. Those sweet budding brains are so smart, that your baby will figure out which dish typically contains fruit and will reach or ask for it. We usually hide our fruit on the island behind our baby’s high chair – otherwise strategically place your fruit behind something else on the table. This may sound crazy, but trust me, it’ll make your life so much easier. 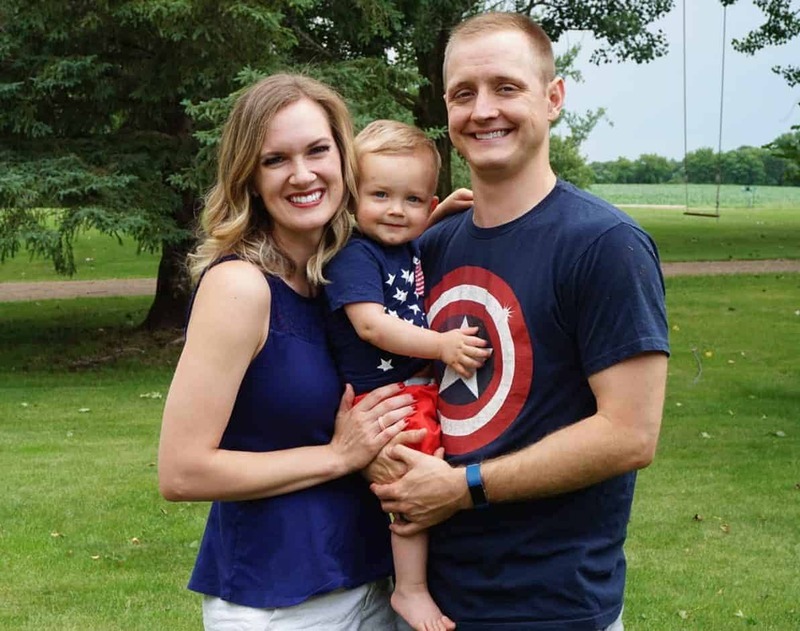 I should also mention that our little man was a pretty good eater at daycare and when we visit family – due to all the distractions. 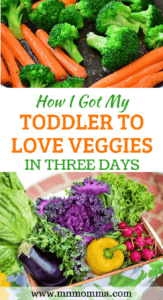 However, at home with just us was when we had a toddler not eating veggies (and maybe we were a little bit of pushovers and he knew we’d cave). Our house has changed greatly since implementing the veggie appetizers. My husband and I exchange looks of amazement and glee at the variety of foods our toddler is eating on his own and actually enjoying! This method also works for older children, and Sally is definitely speaking my language in her article about it here. We follow baby led weaning and try to let our son make as many of his own food choices as he can (within reason). For instance, we like him to have choices on his plate to choose what to eat, and especially choosing how much to eat. If he has leftovers on his plate, we will certainly ask him if he’s all done, but will never make him finish all his food. 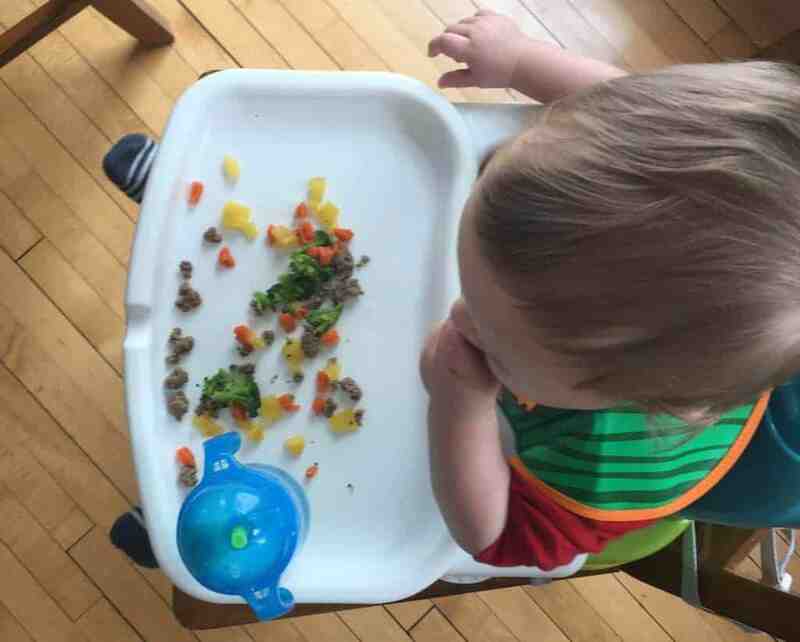 That’s one of the beauties of baby led weaning – letting a child or baby decide when he/she is done helps him/her learn how to control their eating habits, which is a great skill for people of all ages. However, you can imagine this gets a little complicated when you have a toddler not eating a specific food group. While baby led weaning guides will tell you your baby’s body knows what he needs, it’s tough to sit by and not encourage certain food groups. Try these awesome resources for more information on baby led weaning or to grab a baby led weaning quick guide. I’ll be honest, we never count our toddler’s servings of each food group each day. But we do try to follow the rule of at least one item from each food group each day. That makes things much less stressful and much easier to keep track of his nutrition.